Abergavenny boasts first class natural beauty, Abergavenny is located in the county of Monmouthshire and has excellent transport links. Abergavenny is situated within the Black Mountains and Brecon Beacons National Park , many families and couples chose to locate to this fantastic area because of the great schools, shops and the welcoming community it has. ATK is situated only a short distance outside Abergavenny and hence provides an excellent local service for all your removal requirements. 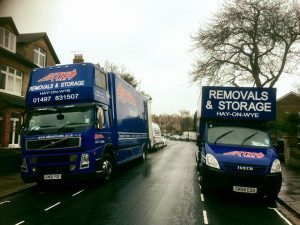 ATK Removals have been helping people move in and around Abergavenny for 30 years and are considered one of the premium removal companies operating within the area. Unlike some other Removal companies ATK Removals will provide you with a very personal level of service, all our crews work to an exceptionally high standard and our reviews speak for themselves!